I’ve decided that the way I survive summer in Louisiana is to disappear for a good chunk of July. If you follow me on Instagram, you probably know that we just got back from a vacation to the Big Island of Hawaii that was magical and adventurous and filled with delicious, delicious food. But this post isn’t about the food we ate there (trust me, there are plenty of those on the way). This was about coming home to the delightful slow suffocation of summer in the deep South after being awake for a good, solid day and a half. And being hot and hungry and tired and dying for something that didn’t come from a diner or an airport or a fast food restaurant along the road. 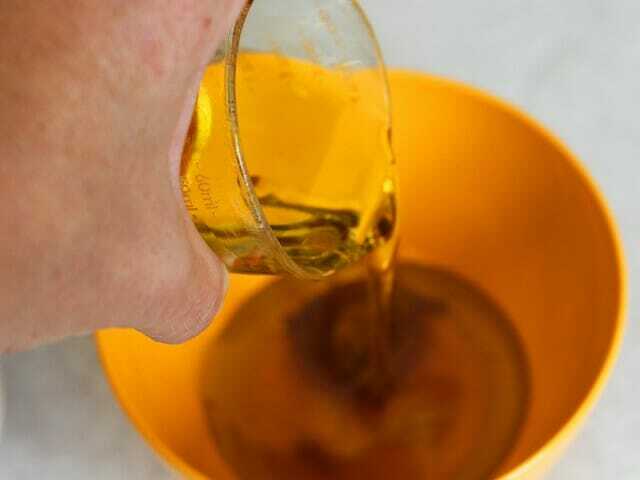 To make the dressing, you’ll need extra-virgin olive oil, honey, the juice and rind of a lime, ground cumin, and some garlic. and whisk together until smooth and combined. Set aside (the dressing can be made and refrigerated up to 48 hours before serving). In a large bowl, combine the rice from this recipe (the exact amount), a chopped jalapeno (seeded or partially seeded if you’re worried about heat; every time I’ve made this, I’ve completely seeded the jalapeno and the salad hasn’t been hot at all), a diced avocado, and 10 ounces of grape tomatoes, halved. and toss to combine. Add to the rice mixture and toss (gently–you don’t want to mangle the avocados or de-juice all the tomatoes). Add the dressing and toss again. Season with salt to taste (or allow people to season their own salads). Refrigerate any leftovers immediately. Makes 6-8 servings. 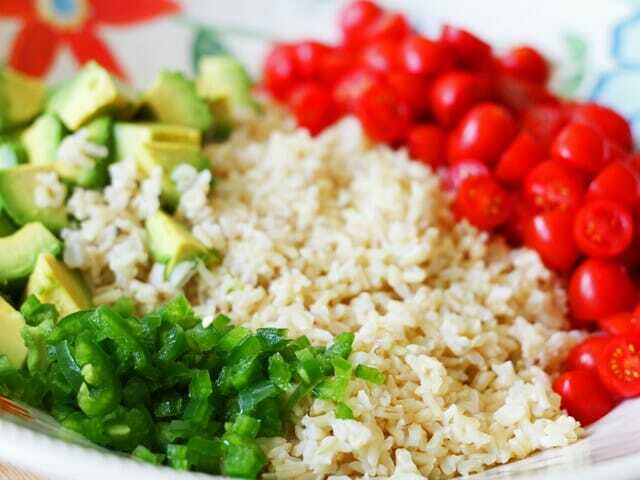 Cook the rice according to the directions. 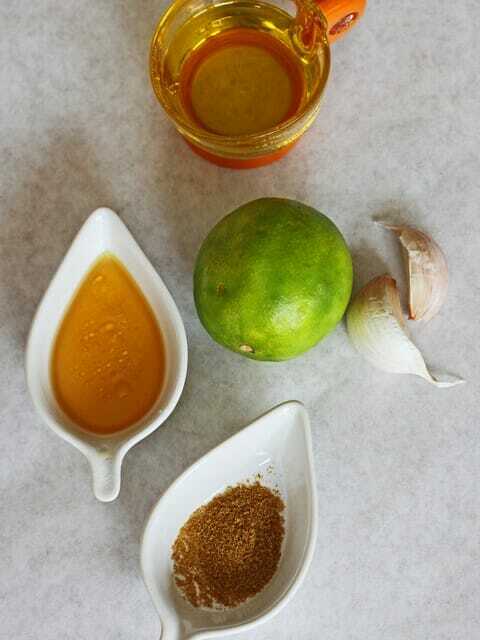 In a small bowl, combine the olive oil, lime juice, lime zest, honey, garlic, and cumin. Set aside. 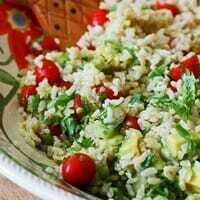 In a large bowl, gently toss together the rice, tomatoes, avocado, and jalapeno. 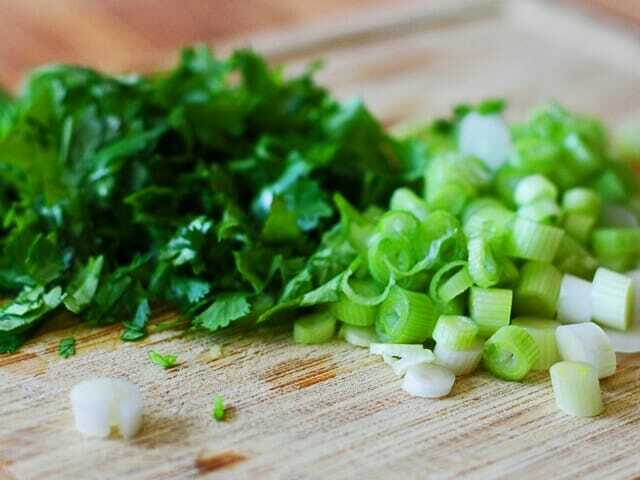 Add the cilantro and green onions and toss. Drizzle with the dressing, salt to taste, and serve immediately (or refrigerate…this will be good until the avocados start getting iffy, so about a day.) Makes 6-8 servings. this sounds delicious, bet it would be great in a burrito too with some chopped up lettuce. I actually have all of these things right now, going to make this tonight. Mmm! 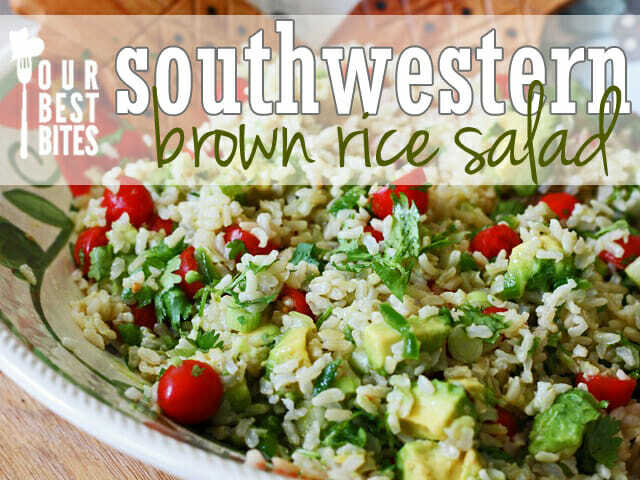 I love southwest flavors and this looks like a beautiful and healthy salad! I looove recipe like this! To make it a complete meal, I often use quinoa instead of rice or add some kind of protein like tuna, ham, hard boiled eggs or rotisserie chicken to the mix. A quick an easy lunch for me! I usually make a big batch with a relatively mild dressing (like lemon and olive oil) and add diffrent flavors throughout the week to mix it up. Like add a spoonful of pesto or a bit of curry powder/garam masala to feel like I have a different salad. YUM! Please will you add the “Print this” link to this recipe? I’d love to try it and want to print it. I see a “Print this” link on the recipe. Sounds delicious! We just got back from a vacation, too, so anything FRESH sounds amazing. This will be dinner as soon as my avocados are ripe. Thank you. Perhaps it was there the whole time and I just missed it . . . in any case, it’s printed now. That looks so delicious! I can picture me eating it for lunch right now. Hmmm, I have all the ingredients but the avocado. So I’m an Ohio girl and just moved to the low country of South Carolina. All it takes is a few minutes before I’m sweating and feel dehydrated. It’s so HOT! And humid! Will definitely try this recipe. It sounds delicious… Thank you!! Wow! I would make this into an entree by topping it with your Taco Chicken. I must have grown some really angry jalapenos this year because I only put one small completely-seeded jalapeno in the salad and it’s knockin’ my socks off! I just added some cucumber to see if that will cool it off a bit. At any rate, it’s delicioso! We just got back from a week long vacation too, and this was exactly what we needed. The flavors are so, so good. The brown rice took more like 30-35 minutes though, and is still slightly under cooked. I struggle with lunches too and this looks perfect! Just made this for lunch! Threw it over some arugula – very tasty and healthy! Keep the healthy recipes coming!!! I am going to make this. It looks delish! Question: do you know how many cups of cooked rice the brown rice recipe makes? I love brown rice, but hate heating up my kitchen (I live in AZ) so I make brown rice in bulk and freeze it in 4-cup freezer bags. I’m just wondering how much prepared rice to use. Thanks. Well, that was yummy! Thanks for a very versatile and tasty recipe. I think the vinaigrette was what made it really shine. This is also a great meal for kids to make (I just cooked the rice and minced the garlic — my 8-year-old did the rest). This salad recipe looks absolutely fabulous. Question: I am not a fan of avocado. What else would you recommend to put in place of avocados in this recipe? You could just leave it out, or maybe add 1/2 cup of drained and rinsed black beans? Hope that helps! I am so with you on lunch. I HATE lunch. I think we should just skip that hour every day. This looks delicious. Thanks for another winning recipe. I have a question, when I make the rice do I pour the vinegar or citrus juice over the rice on a baking sheet IN ADDITION to the dressing above? Or does the dressing replace the aforementioned vinegar or citrus juice? This salad is great! I’ve made it THREE times in the last week. And if you prep a bunch of it and keep separate in the fridge, you can throw it together super quick too. To fill it up, I added whatever veggies I had – corn, cucumbers, beans…and Tonight, I didn’t have rice, so I put it all over lettuce instead. I also let the cilantro marinade in the olive oil and lime juice while i made the salad. Delicious! This was delicious! You know you’ve got a winner on your hands when the 6 yr old asks if you can pack it in her lunch tomorrow! 🙂 Alas, the 10 and 8 yr olds weren’t fans, but that’s coming from kids that think anything remotely healthy is gross, haha!